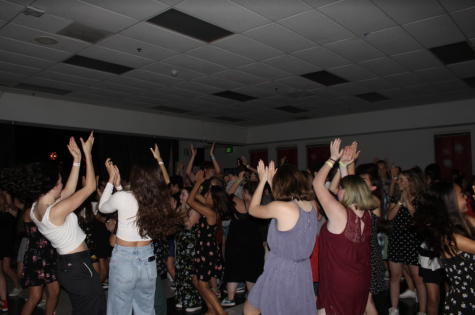 The infamously determined and reputable Foothill cross country team finished their regular season with a bang at Tri-County Athletic Association (TCAA) League Finals on Nov. 1. 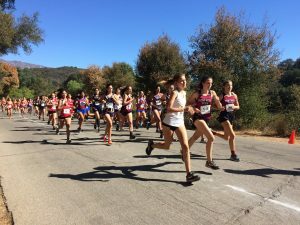 The meet at Lake Casitas is practically home turf for the Dragons as they frequently compete on this course. The Dragons competed against Thacher, St Bonaventure, Cate, Providence (Santa Barbara), Bishop Diego and Laguna Blanca. 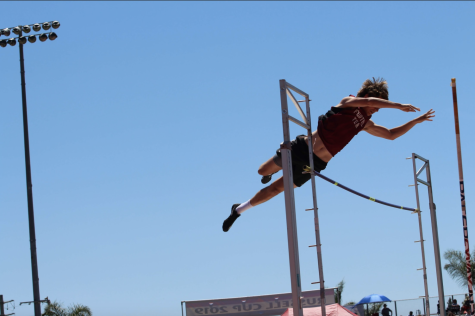 This meet qualifies for CIF prelims, causing the stakes to be high for the team. 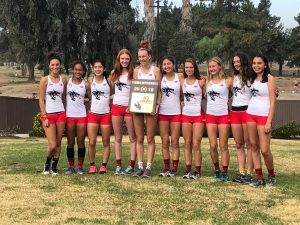 Assistant coach Jason Dinkler stated that “the goal is to send both teams” to the state meet, which is qualified for based on rankings in CIF Finals. 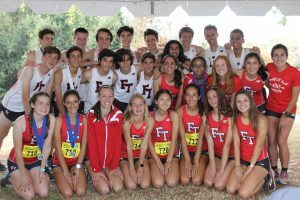 Due to the competitive nature of this meet, the first seven Foothill finishers are considered varsity and everyone else is junior varsity. There were only two races during this meet, one for the boys’ team and one for the girls’ team. They were both 3.11 miles. The scoring and rulers for the meet are slightly different in league finals and CIF. In league finals, only the top seven runners count in the race. 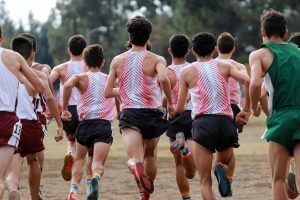 Moving on into CIF, each team can only compete with seven runners in the following rounds. Also, some teams alter their strategy and reserve their fastest runner for bigger meets (i.e. 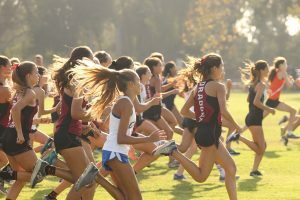 state, CIF Finals) because the runners do not need to compete in each of the previous races as long as their team qualifies. 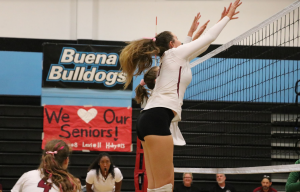 The Dragons are four-time defending league champions, which motivated the teams to uphold their status as a powerhouse program. 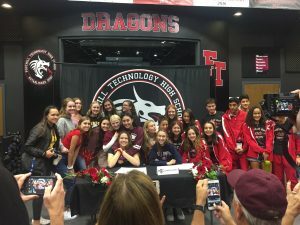 Brooke Secreto ‘21 proudly declared that at previous meets, “someone on the line was like, ‘oh that’s Foothill Tech,’ and it makes me feel good.” Going into CIF, the Dragons are pushed by positive stress and pride to go far. Both the boys’ and girls’ teams swept the meet, earning first place overall. 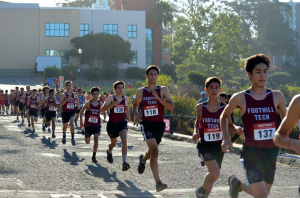 Brothers Henry Pick ‘19 and Oliver Pick ‘21 snatched the top two Foothill spots, finishing in first (15:50.76) and third (16:19.52), respectively, in the boys’ three-mile race. The Dragons dominated overall, earning six of the top ten spots. ”As coach says, the money is in the bank; we just need to make withdrawals,” Oliver Pick said. The Dragons will advance to compete in the Division IV Southern Section CIF Prelims on Nov. 10 in Riverside. 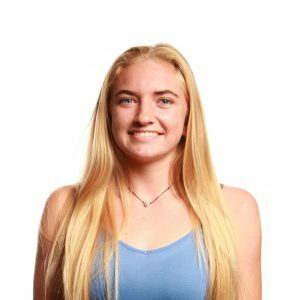 Depending on their performance in Prelims, the Dragons could advance to CIF Finals, which is the qualifier for the state meet. 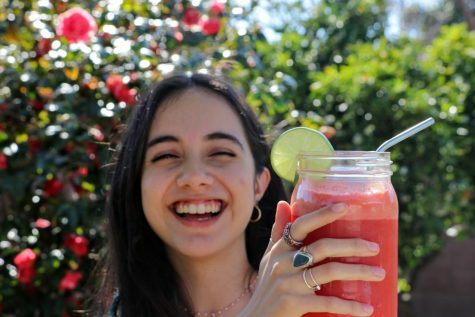 “The hay is in the barn so to speak, and now we benefit from all the training they’ve been doing,” Dinkler said. 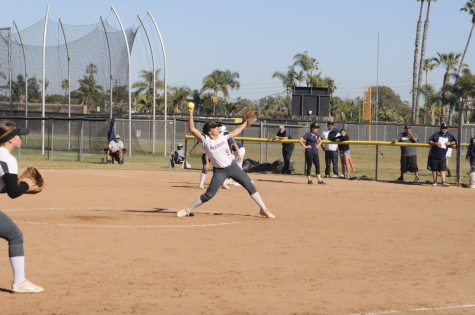 To view the complete results from the TCAA League Finals, click here.